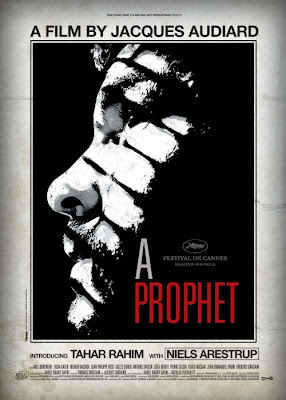 For want of sufficient nourishment no need to go further than director Jacques Audiard’s “A Prophet.” It is profoundly full with top notch performances, knockout direction and a musical score meant to produce the most feeling. But what becomes more of all of this is that it is a psychological film just as much as it is a crime film, whose focus is just as reliant on social and environmental issues as it is on criminal issues. There is a current raging with more and more intensity as the film goes on and Audiard sets it loose as he sheds light on the illiteracy problem occurring in France. This subtext may seem out of place in the new crime classic but it is anything but that. It takes up residence in the film and we see the whole fruition of it when we see nineteen-year-old Malik, the illiterate prisoner, more easily able to adapt to a criminal lifestyle than it is to read a children’s book in a competent and coherent manner. “A Prophet” aggressively traverses the toughest terrains of life inside a French prison. We take this journey with Malik (Tahar Rahim), an Arab who is now old enough to find his cell time with the big guys. Serving six years for assaulting a police officer, Malik is in over his head. He has no family, no friends and no enemies. He will make them all in prison. Within the first scene we see the disparity that is overtaking his eyes as he is stripped searched, eyed by the many savages behind bars and eventually led to his confined cell. At this moment he is at a point of no return; either be an animal or be eaten by animals. This journey we take with him is of paramount importance. It offers us a glimpse and allows us to discern the true qualities that men possess: Will Malik conform to his harsh surroundings or will he put up an effort to remain unscathed by the violent surroundings? When Malik makes acquaintances with fellow prisoner Cesar (Niels Arestrup) and his many followers Malik finds it a necessity to abide by anything Cesar says. Cesar is evil. He demands power and people are afraid of him. When he serves Malik an offer that he cannot refuse (which would offer him protection coming from Cesar) Malik is faced with a decision that will forever alter his entire life. This is Malik’s welcoming into a Hell on earth. And what is caught on camera is downright horrific, amplifying with a consummate behavior all things that are horrid, dilapidated and worthless. The way in which Audiard expresses the notions of depravity is unglorified in every sense of the word. The elimination of such romantic qualities allows him a clear pathway to chart an unexplainable evil that all mankind innately inhabits. With vivid precision, he is directing us to see the obscenity of not only prison life but the obscenity that is boiling beneath the surface of every man. This obscenity is waiting to be summoned so it can perpetually encompass man’s demeanor. One scene in particular verifies this as Malik shows horrific behavior, firing bullet after bullet, while wearing a sinister smirk, enjoying his immersion in violence. 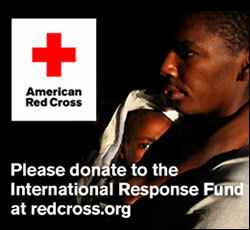 There is an innate violence waiting to be set free in everyone. Literature even made this an apparent fact (Heart of Darkness); In “A Prophet” Audiard makes this most clear. This is his building block. The escalation of Malik’s violence and deceitfulness only enhances Machiavelli’s discourse on power which states that man is obligated to maintain power and if he does not he will be done away with. Watching Malik’s ascension to mafia lord in a brutally honest manner is unquestionably modern cinematic realism at its zenith. This transformation can be seen as resembling the one Michael Corleone underwent in the initial “Godfather” film. Both Michael and Malik are hesitant to embrace a life of crime; a life that will have them in its grasps their entire existence, never being able to shake it off. Once this lifestyle is attained it is near impossible to go back. Malik is a creation that grows and grows in stature, finally breaking the binds that try and contain him. And Rahim plays this man to perfection. From weakness to powerful, Rahim portrays a man who gets just one taste of some blood and finds himself lured in by the wealth and power that comes along with it. His scenes with Arestrup as Cesar are pure magic; charting an old gangster’s passing days that give rise to a fresher face. High-Definition Picture: “A Prophet” is easily in the running for best high-definition transfer of the year. It seems to have an innate perception for things that are ghastly and things that are beautiful. This differential of imagery is the key to the transfer’s success. The wet and deteriorating prison cells are meticulously captured, engulfing the viewers into this atmosphere and leaving them there to fend for themselves. Contrasting with this imager is a following scene that finds beauty and sincerity in the works of Mother Nature. As the snow falls on the grounds of the prison recreational area there is a sense of comfort and equanimity. The transfer makes this scene resonate even more with the clarity and purity of which it is captured with. This is a Blu-Ray transfer that treats with equal care both the beauty and brutality, making each in its own distinguished way impossible to not look at. Deleted Scenes: SD (11mins) - Four in total that aren’t a necessity to the film’s overall narrative. Rehearsal Footage: SD (9mins) – Three scenes of the actors doing separate shots. Screen Tests: SD (5mins) – Tahar Rahim doing tests for five different scenes. Trailers: HD - A stunning trailer of “A Prophet” is displayed (as well as other Sony Picture Classics films).